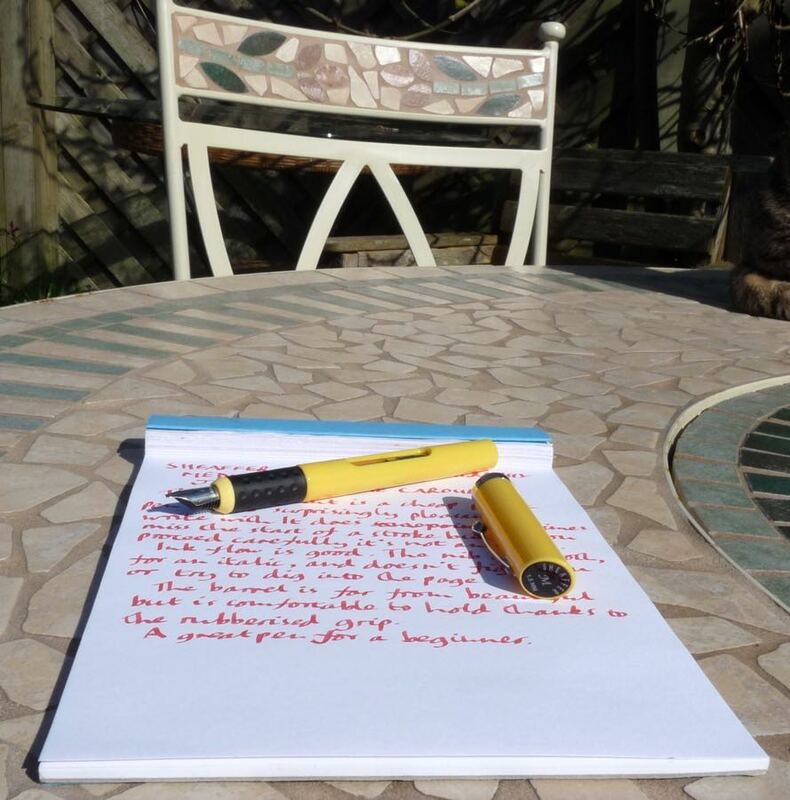 Sheaffer Viewpoint Calligraphy Pen Review – Pens! Paper! Pencils! 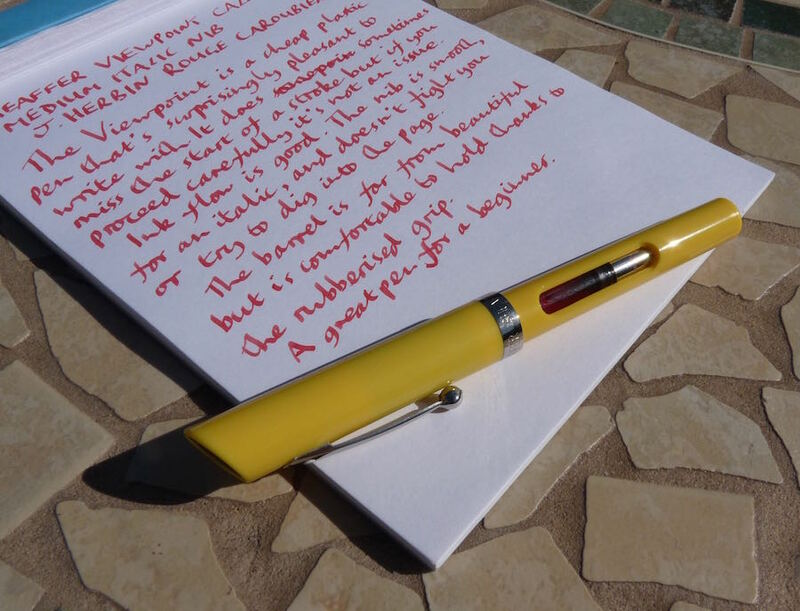 Sheaffer’s Viewpoint Calligraphy pen has been around for quite a while but has recently been updated to the version I have here. Many British school children have used this pen to learn calligraphy particularly as it comes in a very good value kit. Take care when picking your nib. 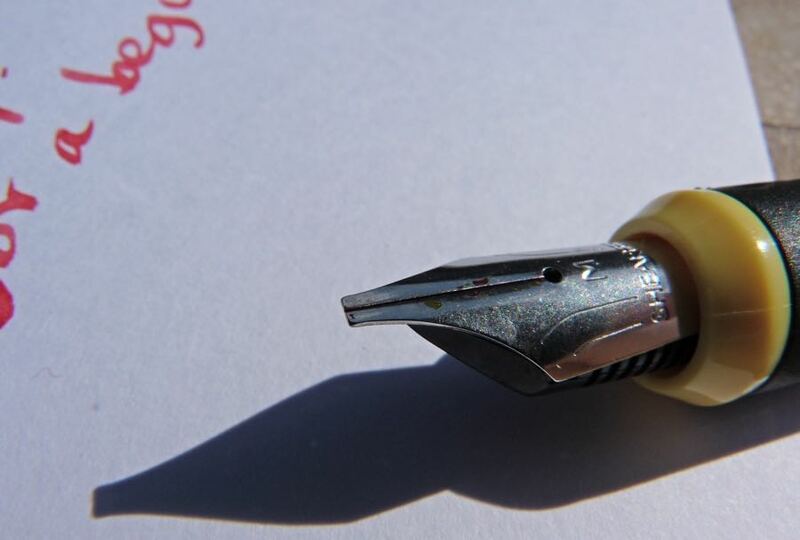 The ‘medium’ nib on this pen is actually quite a wide italic nib. These are calligraphy pens so that makes sense but I was caught out by this. That’s just me being a bit stupid. The nib itself is very firm but it’s smooth and fun to write with. 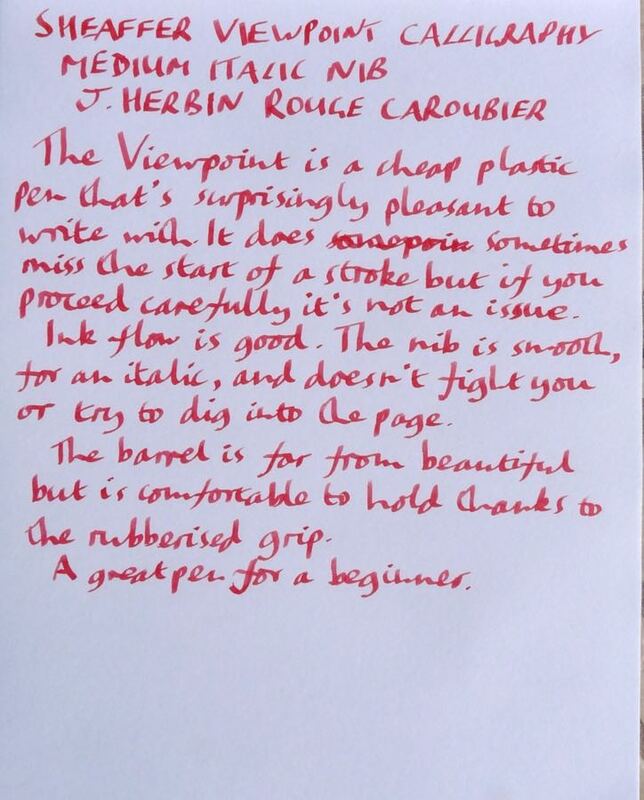 Some italic nibs try everything within their power to dig into your paper but this one is quite easy to use. The ink flow is good, too. It’s a great nib for a pen in this price range. 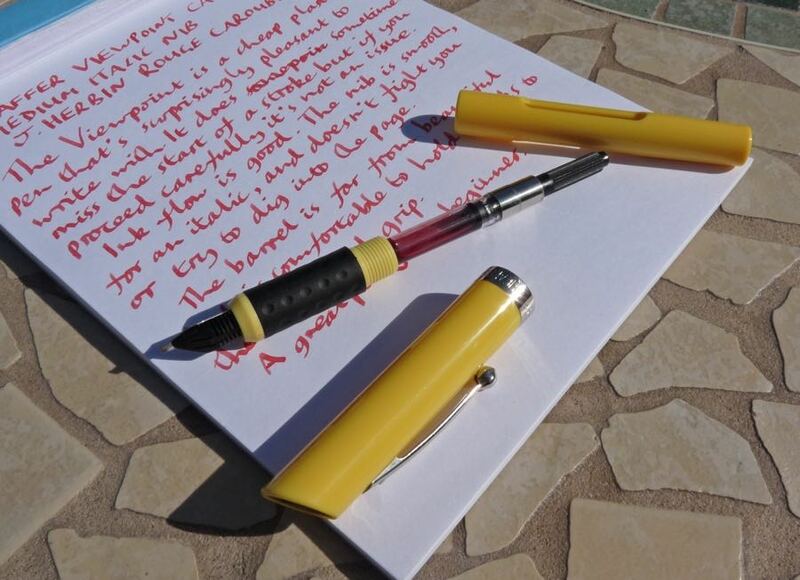 The barrel is a cheap plastic but the rubberised grip helps take your mind away from this and makes this a comfortable pen to use. The cap pushes closed and pushes on to post and with everything being so there are no balance issues when posted. The metal clip seems reasonably strong and should cope with prolonged use but not much abuse. 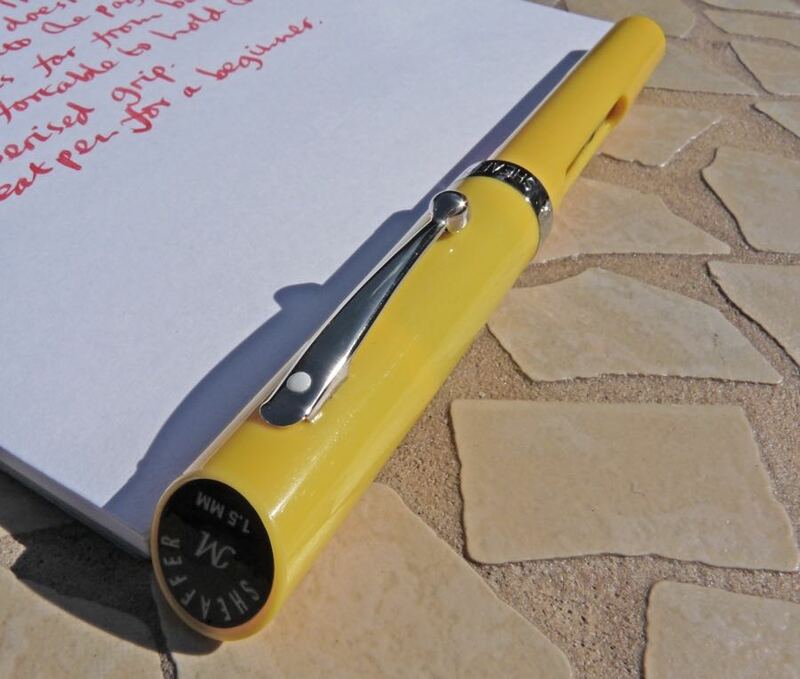 The Sheaffer white dot on the top of the clip is a nice touch. The nib size is indicated with a sticker on the end of the cap. Stickers are likely to come off, in time, so this isn’t a great move but I suppose it’s a way of keeping the price down. 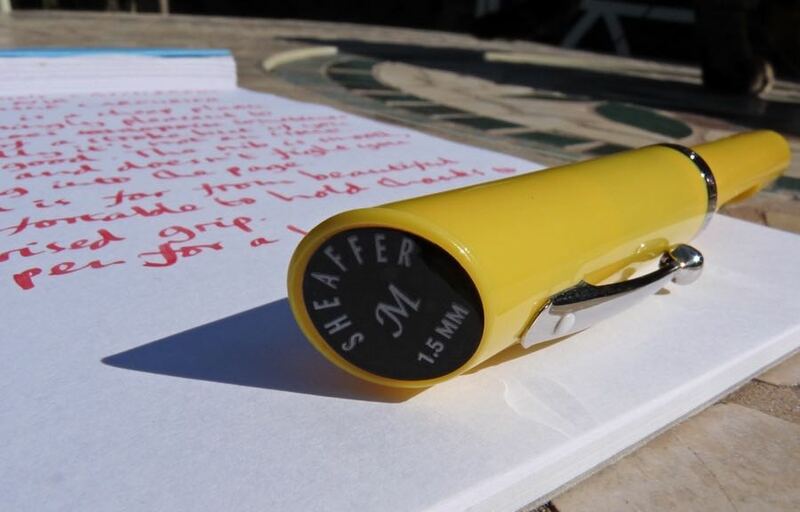 The Sheaffer will take standard cartridges and converters which gives an infinite choice of inks, great for calligraphy. 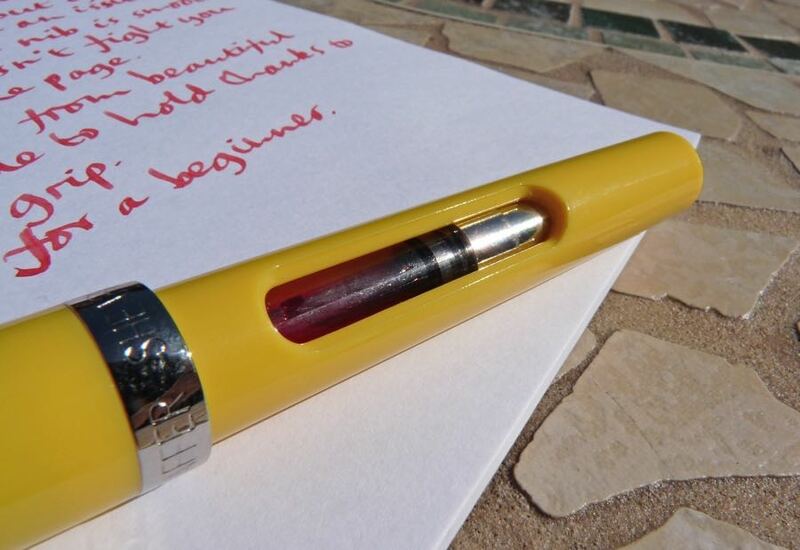 The hole, or should I say viewpoint, in the side makes it easy to keep track of how much ink you have left. This pen is aimed at children or young-at-heart grownups who want to learn calligraphy on a budget. Too many pens with this aim are poor and make learning something new harder than it needs to be. 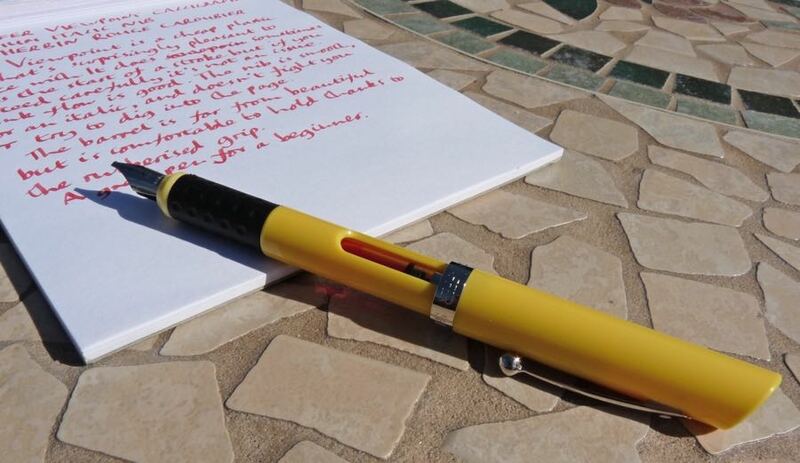 Not this one: it’s a nice writer and a good beginner’s pen. One pen will cost you £8 but for a little over £14 you can get Sheaffer’s “Calligraphy Maxi Kit”. 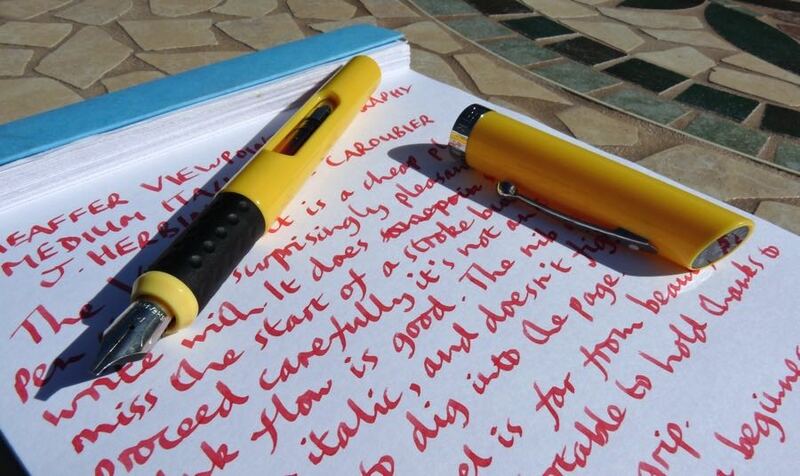 This includes three pens (fine, medium and broad), twenty cartridges of assorted colours and a beginner’s guide. This is fantastic value and would make a fantastic present.